4000 Rivets : Introducing, well, US! We are Mike and Kristin Ryan and we are the proud owners of Gracie! We haven't always lived a life on the road, in fact...we have been married for over three decades and we have spent most of that time living a fairly 'normal' life in Idaho, in various sticks & bricks homes, the most current being the one for sale in Pocatello. We raised two amazing daughters, have two incredible sons-in-laws and four beautiful grandchildren! Mike grew up in Idaho and Washington, in a big family, full of adventures themselves! His dad is an outdoor-lover so growing up Mike got to see a lot of wilderness, with camping trips, hunting, backpacking and hiking. He graduated from Washington State University and ended up working in Hermiston, Oregon...where he met me, way back in the mid-80's! I grew up as a bit of a gypsy, moving, with my small family, every couple of years...from California to Illinois, Minnesota to Pennsylvania, Michigan to Oregon, and places in between! Adventure, for me, came on the road, seeing new landscapes, exploring new cities and meeting people from all walks of life. I was managing a restaurant when Mike and I met, and we began our life's adventure together. We married, promptly moved to Maine, for a short stint, and then ended up in Central Idaho, Southwest Idaho and finally, for the past 18 years, in Pocatello, Idaho. Mike worked in the food processing industry and then as a key part of a growing manufacturing business. I have held a myriad of jobs over the years, my primary one being mom! We enjoyed living in this part of the country as it is so rich in wilderness spaces and amazing landscapes, lots of space to explore. 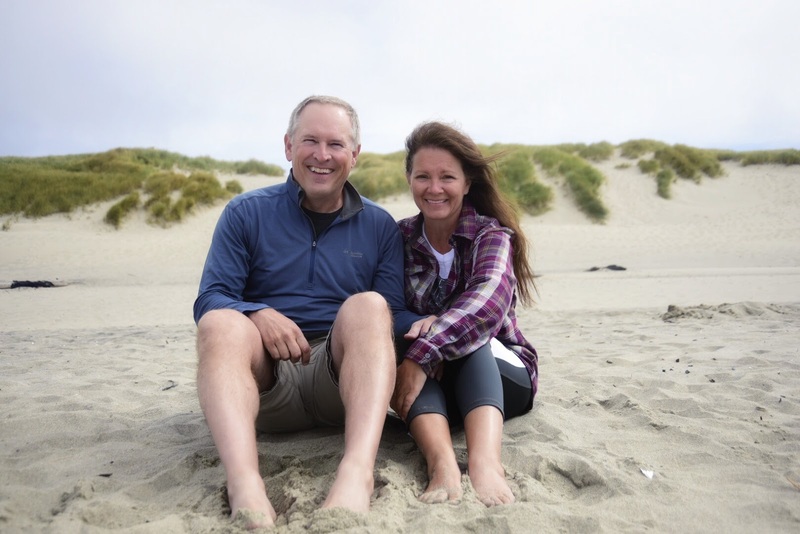 We spent many of our weekends in the Teton and Yellowstone parks, and exploring some of Utah and Montana as well...and every summer we spent time on the beautiful Oregon Coast. As we became more and more enamored with the beauty of the Mountain and Pacific Northwest we each began to develop (no pun intended) a love for photography. As photographers, we enjoy the natural beauty of mountains and rivers, and love the special wildlife opportunities that we have been fortunate to have so close to home, we also crave ocean vistas, unique cultures and hidden cities. We have been able to do some international travel (to Africa, Italy, Burma) as well as exploring in the Western States and are so excited about all of the amazing places this world has to offer the traveler! For years, grateful for every chance we got to travel, we dreamt of having more than just a week or two-week vacation, but instead a real chance to engage in and explore an area or a city...and in the summer of 2016 we launched a plan to make that lifestyle a reality. We began researching, saving, and plotting our course, to include, of course, choosing Gracie, our new Airstream trailer! We really wanted a space that felt like a home to us, with enough creature comforts to keep us healthy and comfortable, and the aesthetics of a cozy, warm place to be creative and to hang our hats. Our plan, as much as we have one, is to sell our home, store the belongings we can't take with us, and head out, with our cameras (and my journal), for as long as we love it and are able! We will be heading West first, to see family and friends and then to our beloved Oregon Coast, and then likely North, perhaps hugging the coastline or opting for mountain views, towards the Olympic National Park and British Columbia...and then we hope to swing back, South, as the weather begins to cool for Fall, likely into California, to hug a few Redwood trees, see some of our family, and then maybe over to Yosemite... Our map is riveted (pun intended) with places we are looking forward to seeing, but our schedules are flexible, open to change (and plenty of visits to the kids & grandkids) and suggestions. regularly so that you can follow our travels, learn from our mistakes, share in our journey and perhaps plot your own adventures! We will also be working on a few projects we have up our sleeves...and we will certainly keep you posted! We look forward to hearing from you and meeting you down the road! You two are just wonderful, you know that? I look forward to seeing your posts and reading your blogs. Have fun and be safe! We'll follow you guys! Enjoy. Thanks for following along! I followed you on IG as well! Love your projects! Sounds like you've each found your niche, so cool! Thank you! I'm headed over to your link now! I love seeing what others are doing and where they will go! I hope you were able to subscribe!